Many thought that it was a done deal that if the Mets didn’t bring in a “star” outfielder that New York would bring back OF Scott Hariston. Hariston hit 20 homers for the Mets last year turning that into a two year deal worth five million for the Cubbies over the offseason. Hairston has gotten off to a miserable start this season in Chicago batting just .125 in 52 plate appearances this season. He got off to a slow start in New York during his first season with the Mets. It could just be adjusting to a new city and a new team. 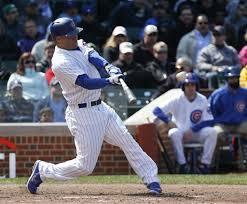 Hariston is a good hitter and will probably have some big hits for the Cubs off the bench over the next few years. With the way the Mets outfield has played this season, Hairston and the Mets probably regret the outfielder leaving New York. Hariston would be playing every day, probably in centerfield for the Mets if he was still on the team. It’s still early but if the Mets outfield continues its early season play, Sandy Alderson will need to bring in a major overhaul of outfield talent for the 2014 Mets. It appears that the Mets are running out of outfield options. Former Met outfielder Scott Hairston has signed a two-year contract with the Chicago Cubs worth around $6 million including incentives. 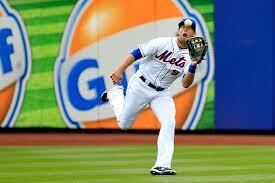 It seems as if Scott Hairston was the Mets backup plan if they couldn’t bring in a “big name” outfielder. Six million dollars over two years is not a lot of money for a major league team but apparently it was too much money for the Mets. Hairston batted .263 with an .803 OPS, 20 homers and 57 RBI in 398 plate appearances. Hairston will platoon with Nate Schierholtz in right field for the Cubs so I can’t see him getting more playing time than he would in the Mets outfield unless the Mets have another outfielder up their sleeve. The Mets privately still believe they will get an outfielder but I’m not buying it anymore. Justin Upton will likely go to a team like Atlanta who have prospects and are willing to deal them now. Yesterday on WFAN with Mike Francesa, Sandy Alderson said there is about a 50-50 chance of the Mets acquiring a “big time” outfielder. 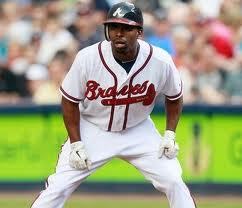 The Mets like Michael Bourn a lot but money is an issue there. More importantly the Mets won’t and shouldn’t give up their first round pick that is needed to sign Bourn. Bourn is still just 30 years old. The Mets have the 11th overall pick and only the top ten are protected from draft pick compensation. If the Mets could find a way around giving up the draft pick to Atlanta, we may have a different story here. The Mets are much more likely to find a starting outfielder via trade. Justin Upton is out there on the trade market and he would be a perfect fit for Sandy Alderson. A right hand hitting outfielder who is young, on an affordable contract and is under team control for three more years. However Alderson is unwilling to give up Matt Harvey or Zack Wheeler so it would be difficult if not unlikely that the Mets will acquire Upton. Atlanta, Texas and San Diego are also interested in the 25-year old Upton. They all have more impact prospects to offer than the Mets. 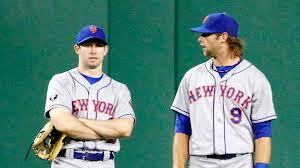 The only way I see an Upton deal happen is if the Mets gave up Jon Niese. Niese seems to just be getting into his prime but on WFAN yesterday, Alderson hinted that the Mets may deal another starting pitcher. If the Mets traded another starter Zack Wheeler would likely make the team out of Spring Training. The Diamondbacks are also looking for a young third basemen, which could be where Wilmer Flores comes in. Flores is blocked at third base by David Wright and would only have Chris Johnson to outplay if he was traded to Arizona. 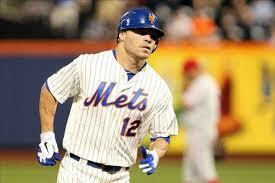 If the Mets do not bring in a “big name” outfielder, that would increase the chances of Scott Hairston returning. Hairston has been asking for a two-year deal worth a total of eight million. Hairston’s agent has said he is close to a decision on where he would play in 2013. Spring Training is just a month away and the Mets have been very quiet so far. They still need a starting pitcher, bullpen help and outfielders. Here is the very latest. The Mets have been talking to Kevin Towers of the Diamondbacks about a deal for Justin Upton but they refuse to give up Matt Harvey or Zack Wheeler, making a deal unlikely. 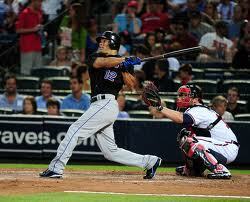 The Mets are still talking to Scott Hairston who is seeking a two-year contract worth around $8 million total. The Mets so far have been willing to offer one year at $2 million. The Cubs, Yankees, Phillies and Braves are also interested in Hairston. The Mets watched Brian Wilson work out over the weekend but believe he has a ways to go in his rehab and are only willing to offer a minor league deal. The Mets won’t give up the 11th overall pick that is required to sign Michael Bourn. 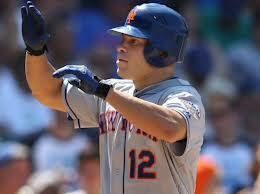 The Mets have been linked to Scott Hairston on and off throughout the offseason. He is still looking for a two year deal and depending on the report the Mets may or may not be willing to give him that. My suspicion is that if the Mets were willing to give Hairston a two-year deal they would have done it by now. The Mets #1 priority right now remains adding help to their outfield. The Mets also plan to address their bullpen as relievers start to get desperate as Spring Training gets closer. Jon Heyman of CBS Sports tweeted that while the Mets like Scott Hairston he is being viewed as a fallback option in case they can’t obtain a bigger name outfielder. Before hearing that I was under the assumption that Hairston was the Mets bigger name outfielder. Justin Upton would look perfect wearing the orange and blue, but the Mets can’t afford to empty the farm at this point. 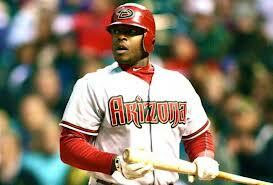 The Mets have talked with the Diamondbacks about Justin Upton but his price tag has been deemed too high by the Mets. Upton, 25, was traded to the Mariners yesterday but has a four team no-trade clause and the Mariners were on it so Upton in his right, rejected the trade. The Mariners were giving up a lot including SS Nick Franklin, LHP Charlie Furbush, reliever Stephen Pryor and top prospect pitcher Taijuan Walker. That would be the equivalent of Zack Wheeler, Wilmer Flores, Josh Edgin probably Jeurys Familia and probably more. With the Mets farm system in the state that it is right now, a deal like that probably doesn’t make a ton of sense. It’s hard to imagine any team giving the Diamondbacks the type of package that the Mariners were willing to give up. It doesn’t make a ton of sense for the Mets to give up a combined 12 years of service time between Wheeler and Flores for three years of Upton. 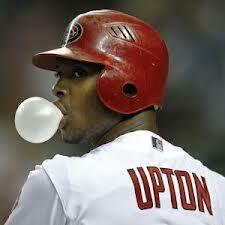 The one positive of rumors of an Upton deal is Upton’s contract is three years and $39 million. It’s a positive that the Mets can afford that type of contract on their limited budget. Perhaps the Mets are thinking about an outfielder that hasn’t been previously reported. 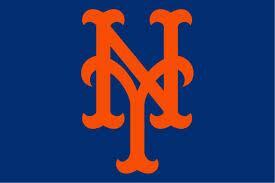 However the Mets are going to have to get creative to fix their outfield. Time is running out. 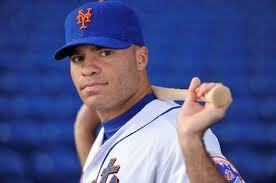 Scott Hairston’s decision appears to be coming down to the wire and it appears that he will be staying in New York. According to ESPN New York’s Wallace Matthews, Hairston is deciding between offers of just the Mets and Yankees now. A decision will be made in the next couple of days. According to Andrew Marchand of ESPN New York the Yankees are pessimistic about signing Hairston as he can get more playing time elsewhere. If Hairston went to the Yankees he would be a fourth outfielder and wouldn’t get as many at bats as he would with a team like the Mets with huge outfield problems. Hairston was holding out hope for a two year contract worth around $8-10 million. At this point I believe Hairston will be back with the Mets. He hasn’t found the offer he was looking for and I thought the longer this dragged out, the better the chance the Mets would have of retaining him. To be honest the Mets need Hairston at this point. I believe Hairston will be back with the Mets because he could get about 400 at bats with the Mets mainly in right field. It appears the Mets outfield is close to set despite not signing a major league outfielder. The Mets may or may not bring back Scott Hairston. Hairston has a 50-50 shot at returning to the Mets. The Mets main competition for Hairston is coming from the Phillies and the Yankees. 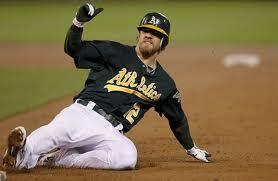 If he returns to the Mets he will platoon with Mike Baxter in right field. Whether Hairston comes back or not, it appears Collin Cowgill and Kirk Nieuwenhuis will platoon in centerfield. Nieuwenhuis will play against righties while Cowgill will play against lefties. They both have significant holes in their game but could work well in a platoon. Terry Collins may even ask them to hit leadoff together in the Mets lineup. I actually think this platoon could work. 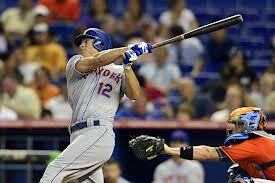 Nieuwenhuis, 25, hit .271 against righties last season and Cowgill, 26, hit .318 against lefties in a small sample size. Both have the ability to hit for a lot of doubles and both could play well defensively in center. Fangraphs said Nieuwenhuis was slightly above average in center last season and played well there. However Nieuwenhuis really struggled offensively after the first two months. He always was a guy who struck out a lot in the minors but struck out way more than expected. Nieuwenhuis struck out in over 30% of his at bats last season.If he wants to play a big role on next year’s Mets, he must cut down on his strikeouts. This is a huge year for Nieuwenhuis. He has to prove he’s the guy going forward or the Mets will pass him by and go to Matt Den Dekker. Cowgill and Nieuwenhuis could form a solid centerfield option if Nieuwenhuis can cut down on his strikeouts and Cowgill can show he can continue to hit lefties in a larger sample size.